Brian has vast experience in the area of passenger rights and advocacy, both in the public and private sectors. 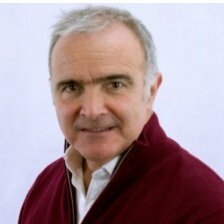 He spent ten years as a communications consultant to the Irish aviation regulator, before setting up his own online service www.airtaxback.com to help passengers recover unused Taxes Fees and Charges (TFCs) from missed flights. Through that business, he joined forces with www.airhelp.com, a service that recovers compensation for passengers whose flights have been delayed or cancelled. He has gained an unprecedented insight into passenger rights and most airlines’ traditional, dogged resistance to satisfying them. Initial research among passengers confirmed his insight that there is a market for an easy way to recycle refunds into new flights. A seasoned communications and business consultant, he holds a MA in Philosophy from University College Dublin and an MBA from Fordham University, New York.